At long last, we’re starting to get infographics solutions that fit in with our everydays lives. 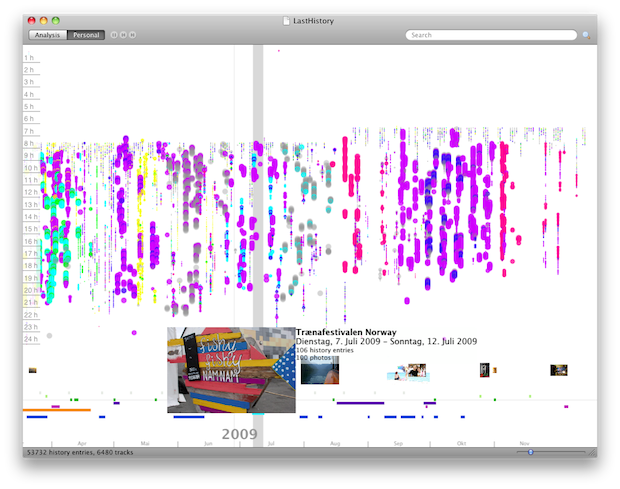 For example: LastHistory, a free downloadable tool for seeing everything you’ve listened to on Last.fm. One person calls it the “first novel music exploration app of the decade.” More, please!